Ratio Is A Minimalist , Responsive , Seo Friendly Blogger Template. Using Ratio Template You Can Easily Show Your Stories, Express Yourself And Photos. 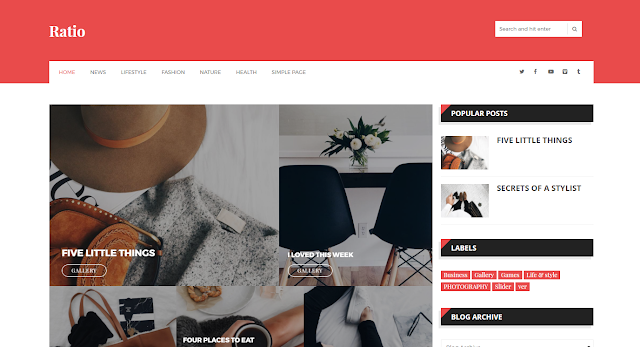 We Know That You Need A Simple Theme And Fully Customizable Which You Can Manipulate In Very Short Time And That’s Why We’ve Created Ratio A Template With Modern Look And User Friendly Setting And Look.